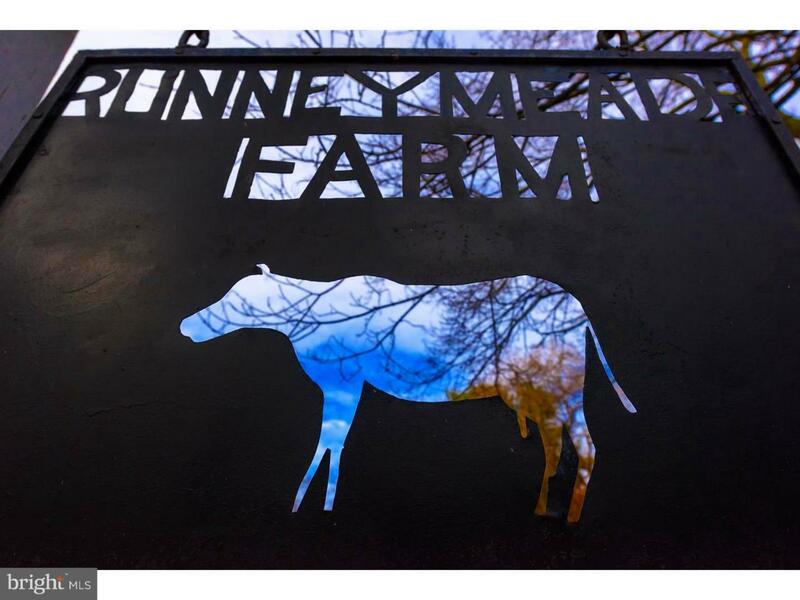 Circa 1715, the original Farmhouse to Runneymeade Farms. Formerly the Pritchard Homestead, this property is filled with original detail, woodwork, random wide-plank flooring, hardware and elements of history, throughout the home and grounds.Consisting of 6 bedrooms, 2 full baths and one partial.A large walk-in fireplace graces the expansive dining room, which has an open flow to the kitchen.The character and detail is like no other. This home is for the discerning person who admires detail and old-world architecture.At some point in time, the front porch was enclosed and features a solid glass front for endless views over Ridley Creek State Park. It~s a fabulous room to entertain in, or relax and snuggle with a good book--or an artist~s dream-with plentiful natural light.The 3-story home has 4 working fireplaces, zoned heating, along with today~s modern amenities, including radiant floor heating.The walk-in fireplace in the dining room also has an adjacent Beehive oven, which can handle a Thanksgiving Turkey cooked along with extras, not to mention authentic pizza!The family room is, extremely cozy, with an additional fireplace and built-in shelving. The living room is a very comfortable room with another fireplace.On the second level, the Master bedroom features a fireplace, and access to a Master Bathroom, which also serves as full hall bath. There are two additional bedrooms with plenty of closet space.The third level features three additional spacious bedrooms and a full bath. The full unfinished basement includes utilities , storage, workshop area and bilco doors to the exterior.This property a has a 3-car detached garage, each with its own bay, and a dedicated electrical panel.The grounds are abundant with mature plantings, tons of low-maintenance perennials, and raised herb and vegetable gardens.In addition, there is an in-ground pool, pool house, hot tub, wishing well, and an original covered ice-storage pit, graced with a deck and a pergola draped I with wisteria in the spring and summer months. Too much history to mention! Come see for yourself.Seller will have septic system tied into public sewer prior to closing.